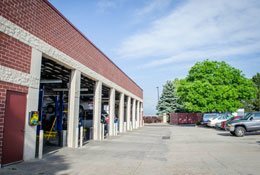 For reliable and thorough auto repair, Littleton and Highlands Ranch drivers count on South Park Tire & Auto Center. Our customers know they can depend on our auto mechanics for thorough and accurate car service. When you walk through the doors of our auto repair shop, you can expect a warm smile, sincere concern, and meticulous attention to the condition of either your car, tires, or both. 1. We provide all forms of auto and light truck repair, from the drivetrain to A/C repair to oil changes, our customers turn to us when they need new tires. Our team will find the right set of your tires for your car, along with quickly installing them on your vehicle. 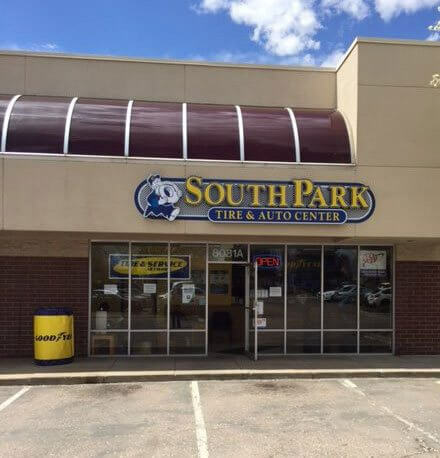 South Park Tire & Auto Center is chosen time and again by families throughout Littleton and Highlands Ranch. Among the midst of other car service centers in the area, we seem to be a light in the darkness, so to speak. 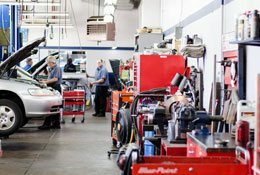 Our commitment to our clients is clear, as we continue to earn the reputation as an auto repair shop you can completely trust. I brought in a new car that we were thinking of purchasing and the guys at Southpark did a once over of the car to ensure it was in tip top shape - they even provided a form to show everything that they had checked and gave advice on where they would value the car. We were so appreciative of their help! Honest mechanics with great prices. I will be back! At Southpark Tire & Auto Center, we strive to give our customers the flexibility necessary to make their needs a reality. 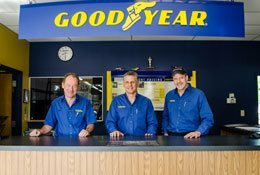 We offer credit through the Goodyear Credit Card. Please click the card below to apply, or take a second to fill out the contact us form and one of our friendly customer services representatives will help you with the simple approval process. We understand that getting your car fixed or buying new tires can be overwhelming. Let us help you choose from our large selection of tires. We feature tires that fit your needs and budget from top quality brands, such as Goodyear®, Dunlop®, Kelly®, and more.